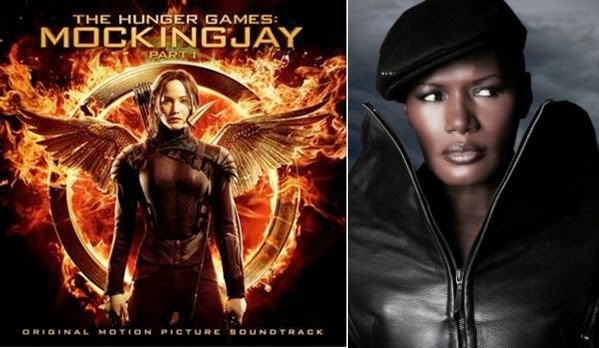 I was just scanning my inbox and came across this really cool nugget of information that not only has Lorde curated the soundtrack for The Hunger Games: Mockingjay - Part 1 (which I first told you about here), but my own personal slay queen, Grace Jones, is featured on the track list as well -- which was just released today. I believe that in a past life, Grace and I were real BFFs, so this is HUGE news for me. I'm kinda curious about what track will fill that mysterious 5th slot on this already diverse list. Guess only time will tell. The digital pre-order went live on iTunes today, and the album will be available in stores and on all online partners beginning November 17. Those who purchase the pre-order will receive instant downloads of Lorde's recently release first single, "Yellow Flicker Beat" and The Chemical Brothers' "This Is Not A Game" [featuring Miguel]. The Hunger Games: Mockingjay – Part 1 hits theaters November 21st.